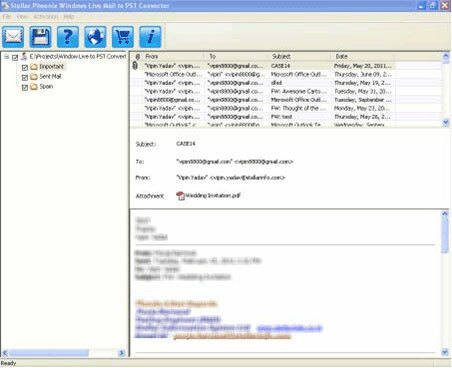 Stellar Converter for Windows Live Mail efficiently converts emails from Windows Live Mail folders to Outlook PST format. 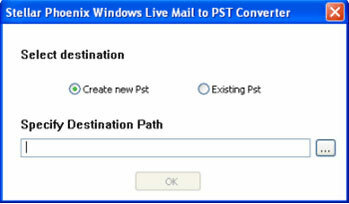 You can easily perform safe Windows Live Mail To PST conversion exporting all mailbox items, such as Emails, Sent items to MS Outlook. This Converter for Windows Live Mail caters to all the needs of the users who need to migrate from Windows Live Mail to MS Outlook. This phenomenal tool enables you to selectively convert mail folders in a user mailbox and thus, saving you the time required to perform a complete mailbox conversion. Easily switch from Windows Live Mail to MS Outlook. 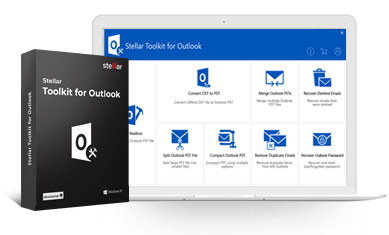 Avail all the benefits of using MS Outlook, including anytime mail access, easy synchronization with smart phone or PDA, etc. Windows Live Mail users can enjoy 'tasks' and 'calendar' features only in its online version. With MS Outlook, you have a range of options, such as calendar, task manager, contact manager, etc. 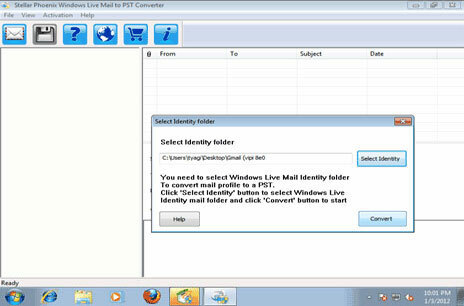 Start Stellar Converter for Windows Live Mail. In the 'Select Identity folder' dialog box, click 'Select Identity' and choose the desired Windows Live Mail identity folder for conversion. Now, click 'Convert' to start scanning the selected mail profile. After completion of the scan, the software displays all mailbox folders in the left pane. Select a specific email message to see its preview in the bottom-right pane. Now, select the mailbox folders from the left pane and click 'Save Mails' button on the tool bar. 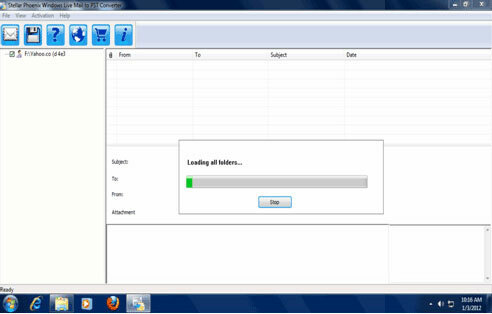 The progress bar shown below indicates the final conversion process. If needed, you can also stop the process anytime by clicking the 'Stop' button. 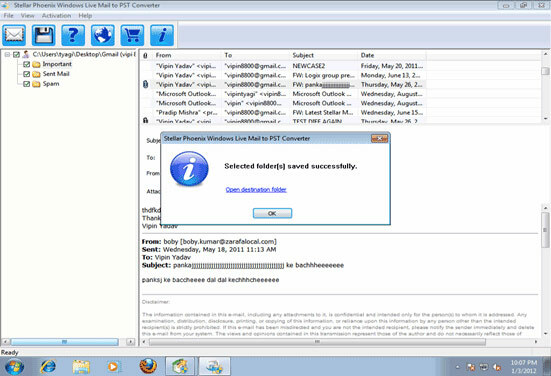 When the process is finished, a dialog box appears on your screen displaying the following message: 'Selected folders saved successfully' Stellar Converter for Windows Live Mail smoothly converts Windows Live Mail email folders to a single PST file that can be easily imported into MS Outlook. In addition, the software supports all the latest versions of Windows Live Mail.